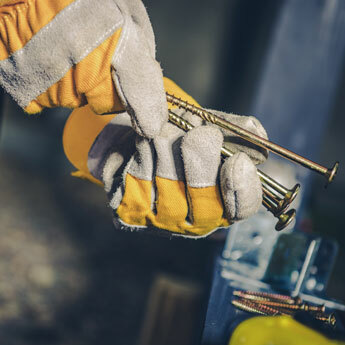 Count on Jobsite 911 to deliver a full range of construction fasteners in Garden Grove, California, as well as other supplies to meet the needs of any project of any size. From standard fasteners that suit most needs to custom designs for unique applications, we have you covered. Headed anchor bolts, L-bolts, J-bolts, threaded rods, F1554, A307, A193, A325, A490, B7, and more. Plain, zinc or galvanized. Stainless steel available upon request. Plate washers are available in round or square and have a larger outside diameter than standard washers. They are made from low-carbon steel and come in plain or galvanized. We also carry USS/SAE, F436, split lock washers, and more. Hex lags, red heads, wedge anchors, chop-saw blades, abrasives, contractor bags, and more. Hex nuts, heavy hex, 2H, nylock nuts, all-metal locknuts, coupling nuts, jam nuts, and coil nuts. Our fasteners ensure you meet your job's spec requirements. Our fast turnaround also ensures that you complete construction projects within the time restrictions you have, and all of our products are available locally. Contact us today to learn more about hex lags, square plate washers, and heavy hex nuts.